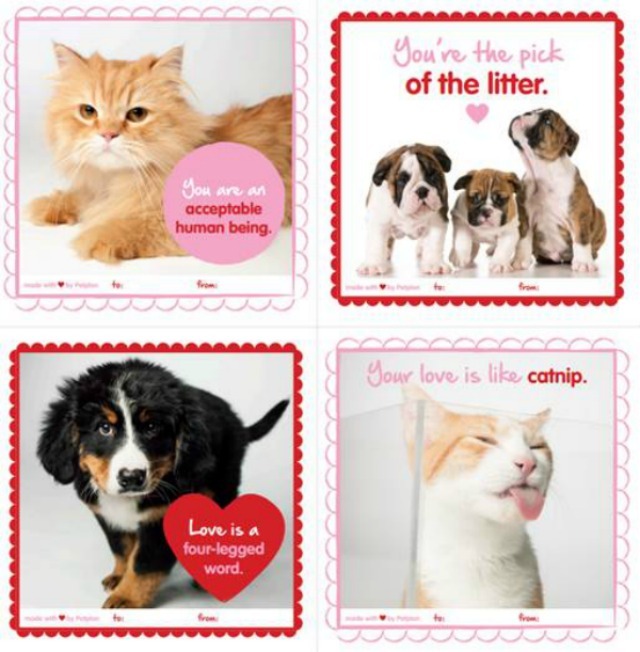 If there is someone who gives your heart the zoomies, then why not give them one of these cute cards on Valentine’s Day? You can see more of the free, printable cards on Petplan’s website HERE. And remember, Love is a Four-Legged Word! Love them. That first one is just SO Cat! Great cards, I agree about the first cat one, so funny! oh they are soo great... specially "the pick of the litter" that rocks! Are you sending these to all of your sweethearts, Oz? I am not able to download those valentine images and pictures. Can you please tell me how can I download?